I had a request for a tutorial on how to make my cupcake bouquets. So I figured I would make a table centerpiece with mine. If you are having a party, this is perfect for two reason, 1 your have a cute centerpiece and 2 you have a dessert all set up for the people at that table. Can’t get any better than that. And of course this works for any holiday or party just vary your colors of frosting or types of containers that you hold it in. 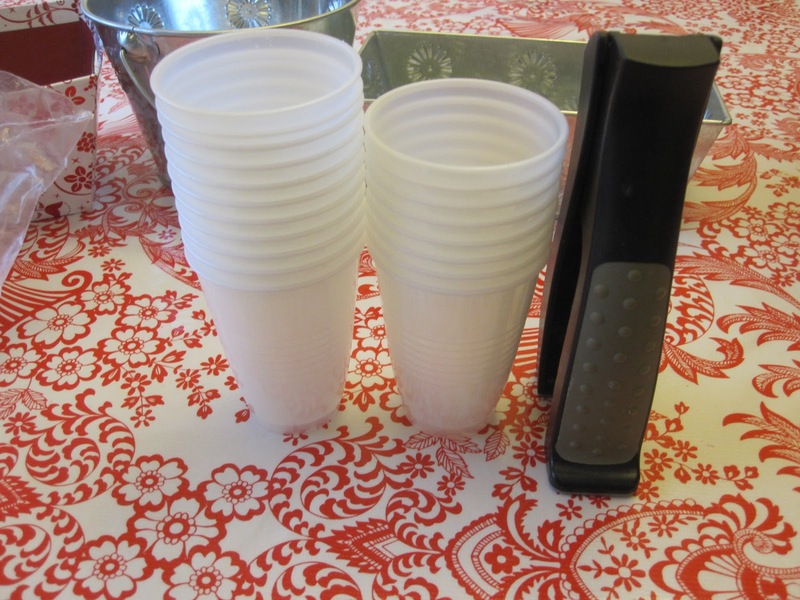 5oz plastic cups, a stapler similar to this (you can use other staplers, but they are harder to get them in the cups) and a 1M tip for piping on the rose design, the container that you want holding the cupcakes, cupcakes, frosting, and hungry people! You can watch a YouTube video of how I put them together, or see my pictorial below. 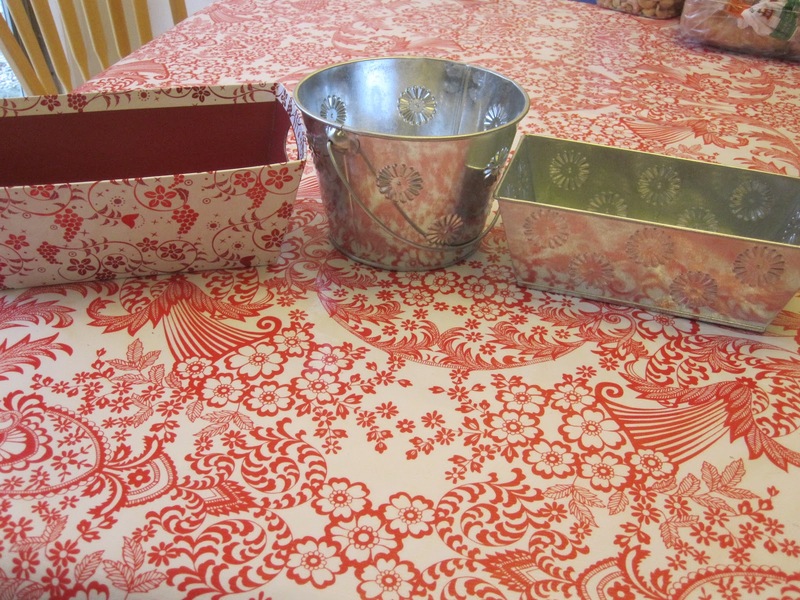 The pictures below are for larger containers than I use in the video. Here is how to put them together. 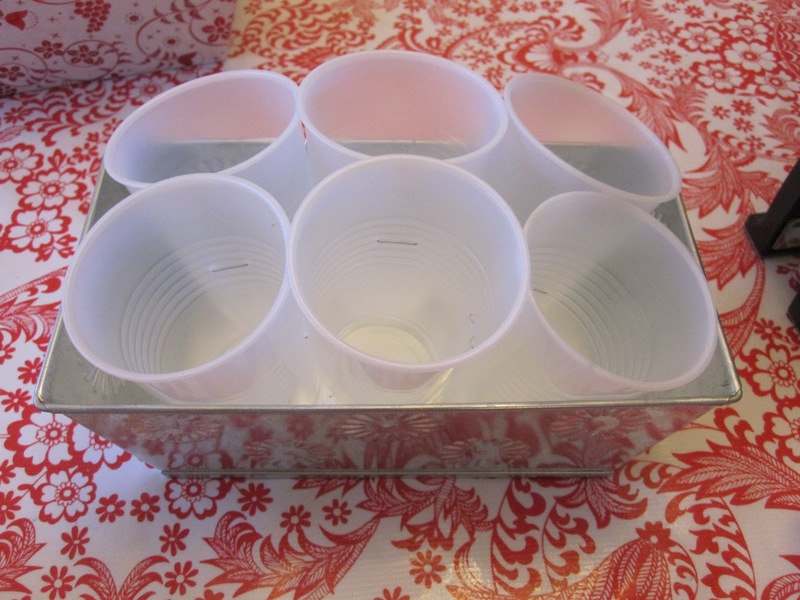 Depending on the shape of what the container is determines how you put them together. This is how you put together a round container cupcake bouquet. 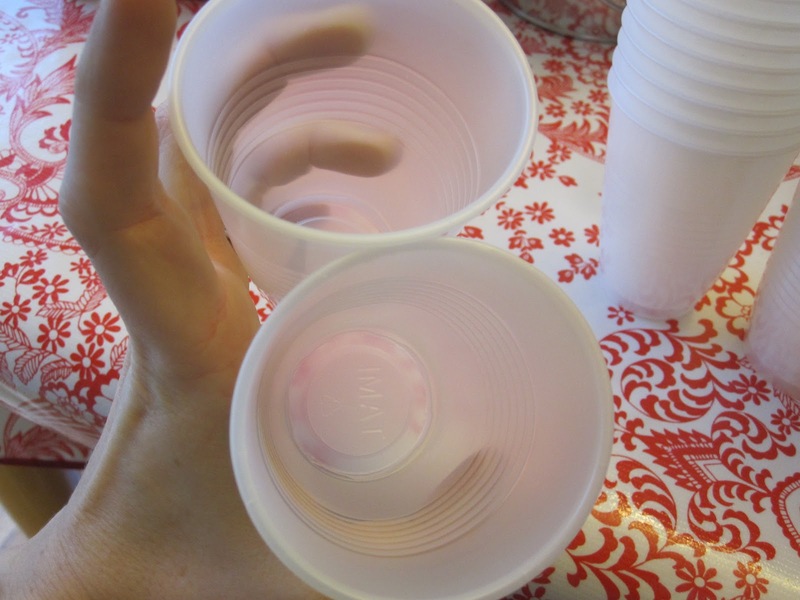 Take two cups and staple them together at least halfway down the cup. It should look like this after stapled. 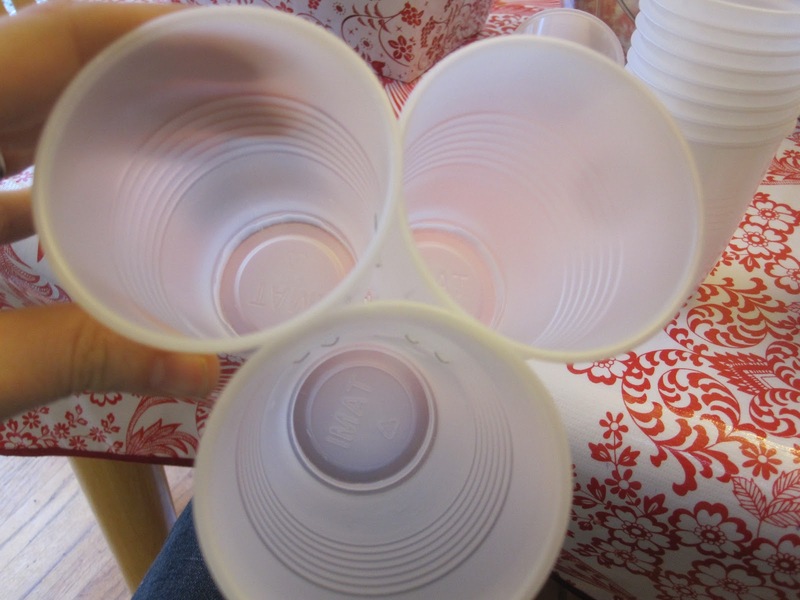 Then add another cup and staple to both of the other cups half way down the cup. 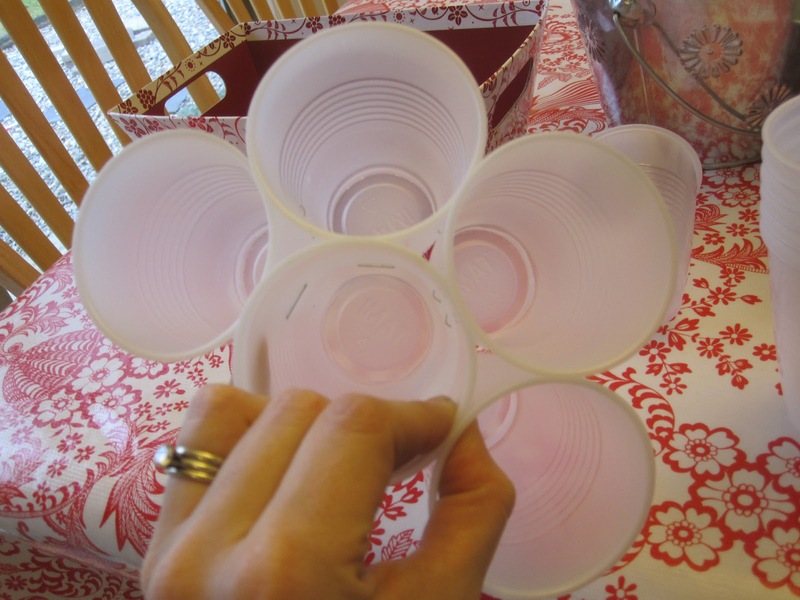 Choose one of the cups to be your center cup and start making it look like a flower by adding the cups to go around the center cup. So it is like you are adding the petals of a flower. 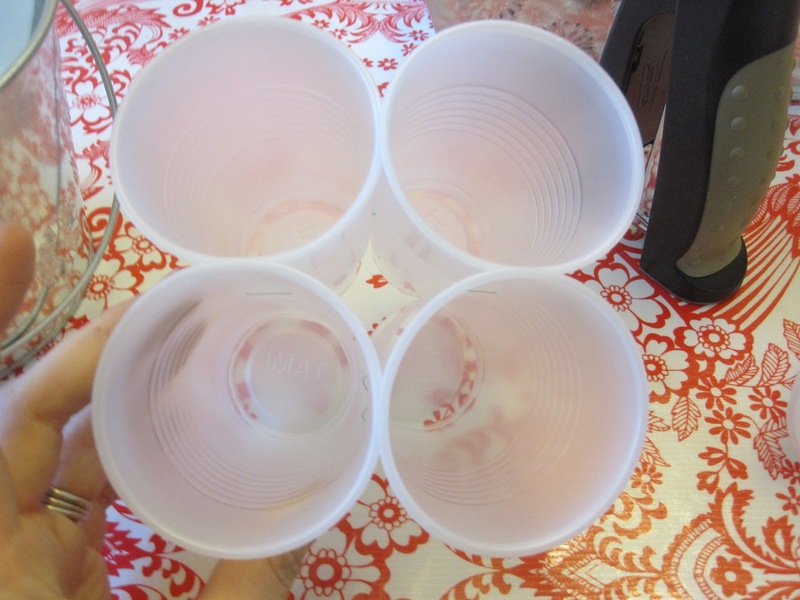 So staple on the 4th cup to both of the cups that it is touching (the center and another outside cup). 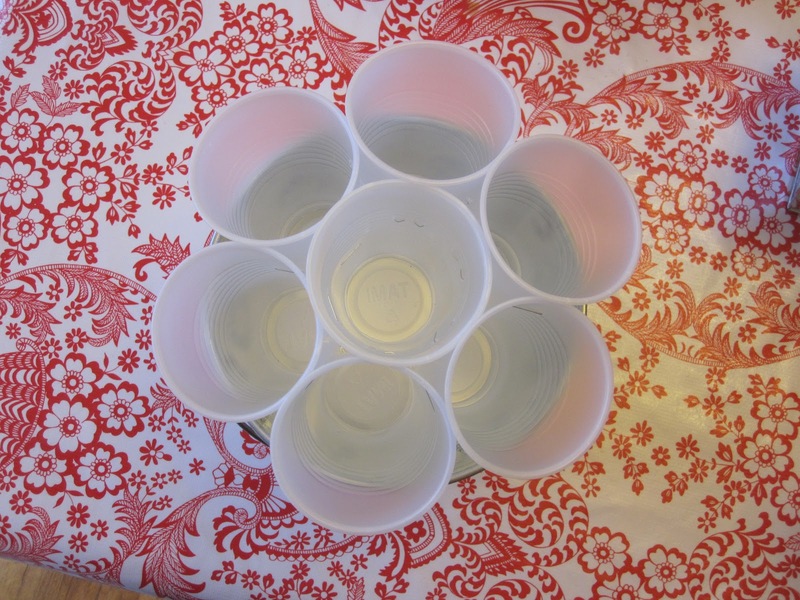 Keep adding cups as you go around. 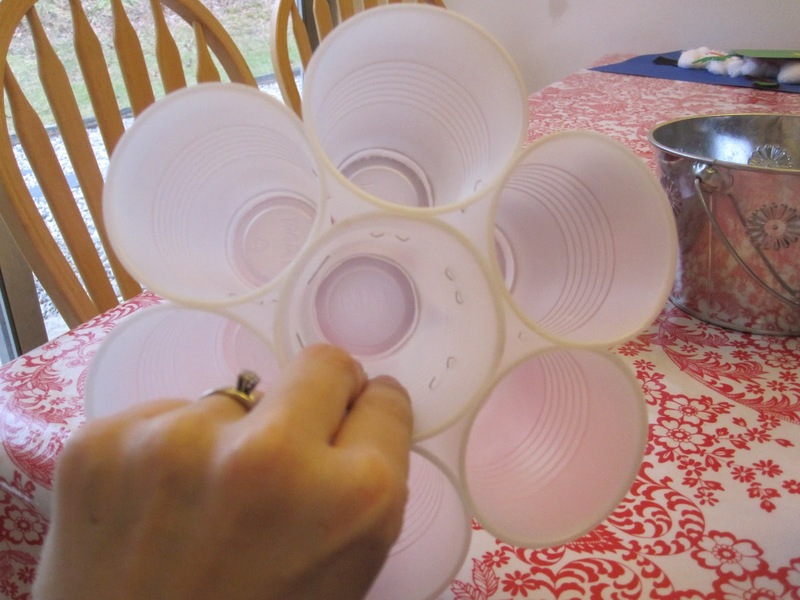 Here it is adding on the 7th cup (so six cups going around the cup in the middle) This is the standard size for most round containers, but if you have a really big basket you can add onto that or have three or four cups be your center and add around those. Here the cups are resting in the container. 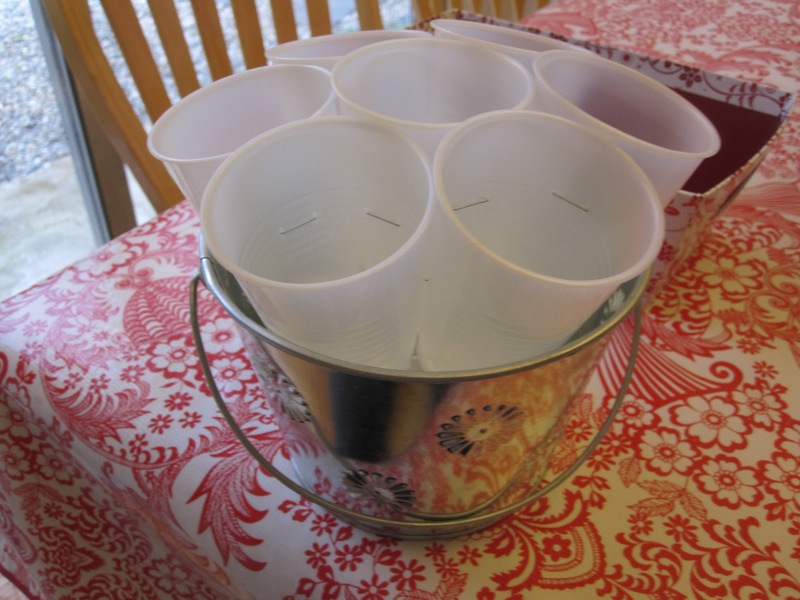 I add some tissue paper under the cups and generally having it coming up and out the sides to hide some of the visible cups. See the picture at the end. Here is how you put it together. 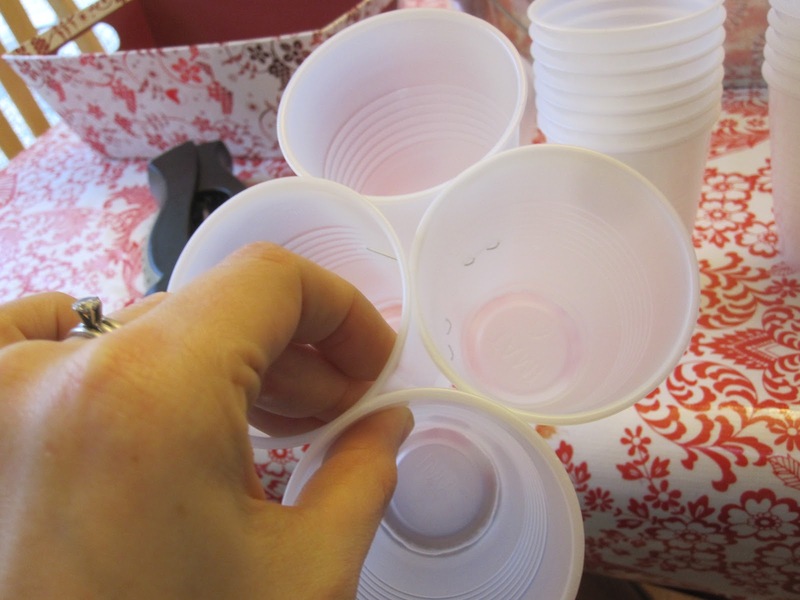 Start by securing two cups together and keep making groups of two cups and then connect the cups together by stapling to the neighbor cups. Here they are in the container. and you don’t really need anything anchoring them since the weight of the cupcake holds them in. 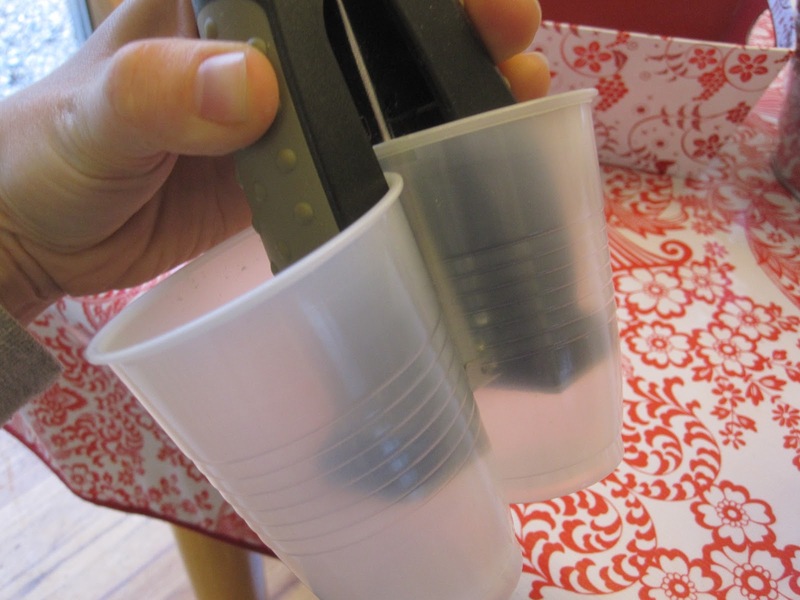 If you are really worried you could use a low temperature glue gun and glue the cups in, but I have never had any problem with them. 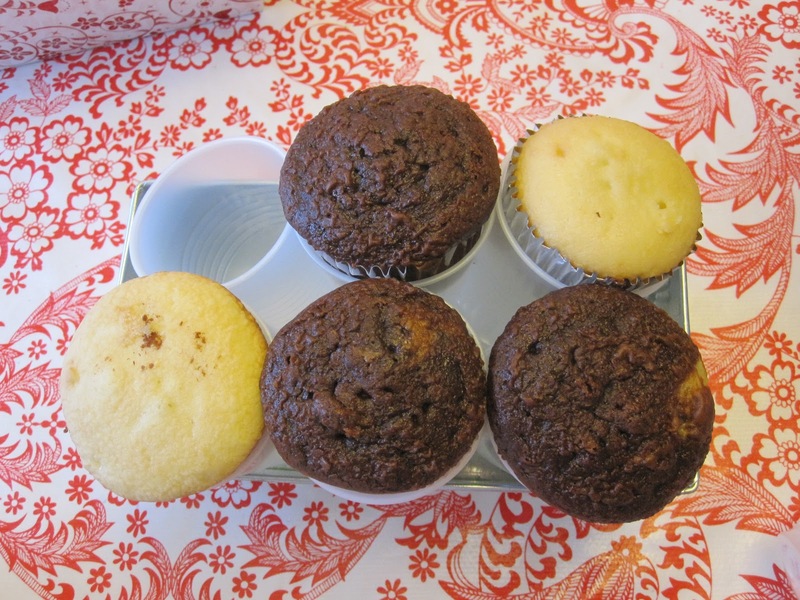 Now stick your cupcakes in the cups and pipe your design. Most of the time when I am asked to make cupcake bouquets they want the cupcakes to look like roses, but you can do any type of swirl that you want. If you want to make them roses use your 1M tip and start in the center and swirl outward (not up like you are used to just out). It is as easy as that. 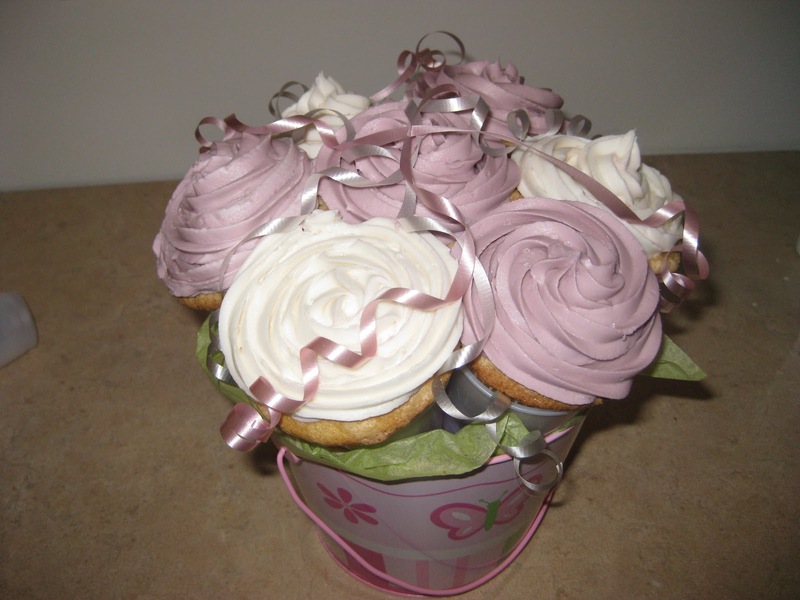 Here is a finished cupcake bouquet that shows the rose swirl. And you can make the cupcakes all one color or various colors to meet the needs of the occasion. 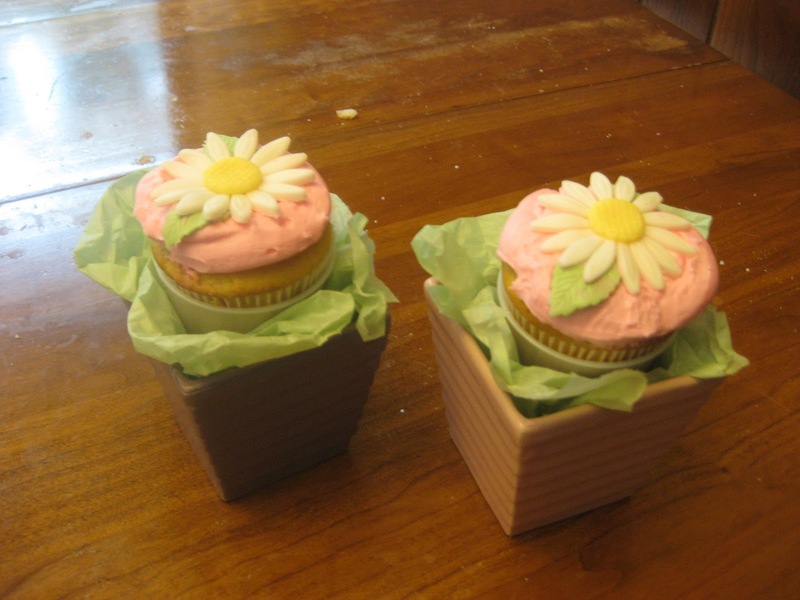 I have also done single cupcakes in small pots which have been fun.